After five years on HBO, Boardwalk Empire came to an end in 2014. All five seasons can be purchased individually, but this “Complete Series” set packages all of them in one place – and adds some unique supplements. For full information on the individual seasons, please consult my reviews of those sets via the links above. Please note that the picture and sound grades found at the top of this article represent an average for the five seasons. Though this article covers the series as a whole, I want to concentrate mainly on the package’s final platter. 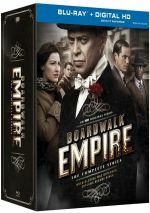 Called simply “Bonus Disc”, it includes a few more Boardwalk Empire tidbits. We start with The Final Shot: A Farewell to Boardwalk Empire. 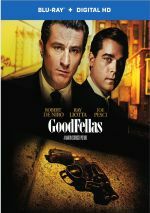 In this 29-minute, 20-second piece, we hear from creator/executive producer Terence Winter, executive producer Martin Scorsese, executive producer/writer Howard Korder, executive producer/writer/director Tim Van Patten, executive producer Gene Kelly, production designer Bill Groom, costume designer John Dunn, and actors Steve Buscemi, Paul Sparks, Anatol Yusef, Stephen Graham, Greg Antonacci, Shea Whigham, Kelly Macdonald, Gretchen Mol, Michael Stuhlbarg, Kenneth Michael Williams, Vincent Piazza, Jeffrey Wright, Jack Huston, Michael Shannon, and Anthony Laciura. During the eight-minute, 11-second Anatomy of a Hit, we locate notes from Winter, Van Patten and Korder. They give us details about the filming of a few violent sequence. Though brief, “Anatomy” comes with some useful information. Next comes Building the Boardwalk. It lasts three minutes, 42 seconds and features Van Patten, Groom., set decorator Carol Silverman, visual effects supervisor Lesley Robson-Foster, and directors of photography Jonathan Freeman and Bill Coleman. This piece gives us quick notes about the series’ big boardwalk set. It comes with some decent info but is too short to be of much value. With Shooting the Series, we discover a five-minute, six-second show with info from Groom, Freeman, Coleman, Van Patten, and Silverman. “Shooting” looks at the visual aspects of the series. It’s another short but reasonably interesting piece. Desiging the Series occupies four minutes, 27 seconds with details from Groom, Silverman and Van Patten. This one looks at production design and period details. Once again, we find a quick overview that works fine but could be longer. Finally, Visual Effects runs eight minutes, 29 seconds and features Robson-Foster, Groom, and Freeman. As expected, this piece shows how visual effects helped the series bring period elements and other domains to life. This turns into one of the more interesting featurettes, largely because we get to see so many before/after shots. 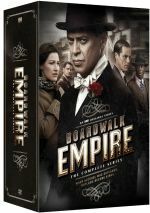 When it started, I liked Boardwalk Empire but didn’t love it. I came to enjoy it more as it went though – especially during the phenomenal fourth season – and ended up a pretty big fan. This “Complete Series” set offers good picture and audio as well as a decent batch of bonus materials. Fans who bought the season sets on their own will find no reason to “upgrade” with “The Complete Series”. I like the extras on the bonus disc, but they’re nowhere near substantial enough to warrant a replacement purchase. For those who never invested in the individual seasons, though, the “Complete Series” seems like the way to go – depending on price. As I write this, you can get the individual releases on Amazon for about $157, while the “Complete Series” runs $161. If the prices remain comparable, go with the “Complete Series”, but if you can save substantial money, opt for the individual sets. The bonus disc in the “Complete Series” is nice but it’s not worth more than a few dollars.